This gathering is a smaller, more intimate group and includes a time for “reflections” during which thoughts about the sermon can be shared. Music may be provided by piano and guitar. The 11 am gathering is a larger group. The music program for at 11 am may include the Sanctus Choir, the Bell Choir, Children’s Choirs or YOrff Ensemble, and piano and organ. The Puppet Ministry may also part of the service. Children are welcome in our Worship Gatherings! Children are always welcome among us and in our corporate worship gatherings. 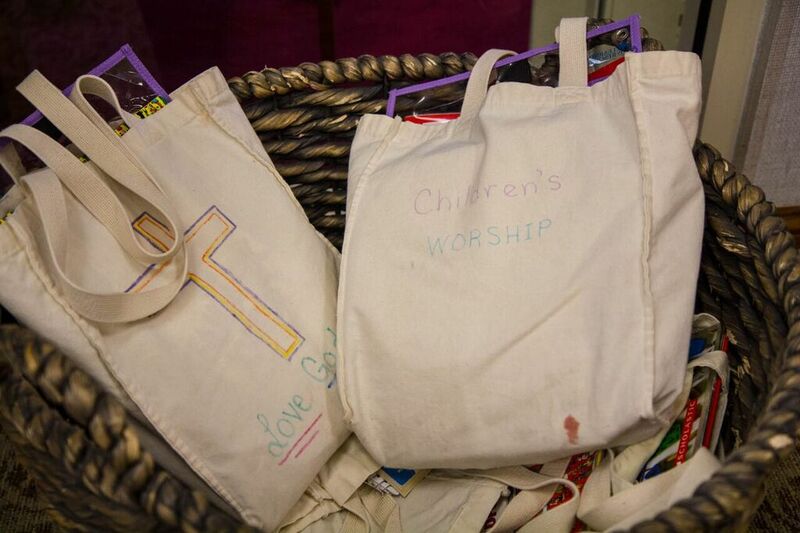 Activity bags are available in the greeting hall for their use and enjoyment. Additionally, childcare for children ages birth to kindergarten is available as well, as a “cry room” for those who wish to listen and see the worship service in a separate room form the sanctuary. Ushers are more than will to help you locate these resources. On the 2nd and 4th Sundays each month, children are invited to go to the Children’s Church Room immediately following Children’s Time during the Worship Gathering, for Children’s Worship.